...you describe some of the rules of improv. And one of them is, you know, make statements. Don't ask questions, and put the onus on the other person to come up with something. You come up with something, give it to them, and then they have to react with something....Were you ever in that category of speaking in apologetic questions and having to be more assertive, or speaking all the time in statements that sound like questions? Ms. FEY: Once again, I'm maybe a little on the old side? I think that became standard issue in the late '80s. I don't know. I mean, I'm a shy person. And so I definitely learned in those early improv classes to initiate, and to step forward. And you learn so much in those classes because you also, eventually - once you get better at improv, you learn like, you know, when do you step forward? A great - you know - thing, an improv Olympic thing, I think, too -which is another improv - you know, you ask - when you're teaching, you ask improvisers who have been a couple classes in, a couple sessions, whatever you say - here's a question: When do you enter a scene? And people say: Well, when you have an idea. No.When do you enter a scene? When you think of something funny to say. No. And the answer is: When do you enter a scene is when someone needs you. You're only to enter when someone needs you. And so if you feel - if you're observing the scene and you feel it start to lull, or if someone in the scene refers to something that it would be beneficial to see. And so it's this great mindset of contributing, but as a group. You never just come in - I mean, people do because you always make mistakes in the practice of it - but come in just because that scene looks fun and I want to be in it, too, or I've got a great idea for a loud character that could enter this scene. Would that work for you if you're trying to sound less apologetic or trying to interject in a meeting? Leave your thoughts in the comments. 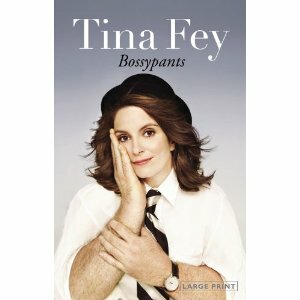 You can read the transcript of the interview with Tina Fey here, and listen to it here.